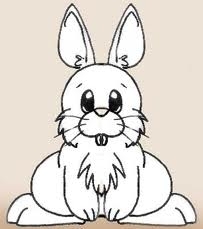 A Beautiful Symmetrical Rabbit. A bunny that's symmetrical!!! YAY!!!. Wallpaper and background images in the Random club tagged: cute random beautiful funny picture.